Located on one of the most beautiful beaches on the Mexican Pacific Coast is the Mayan Palace Mazatlan, a luxury resort that can be your new vacation home. The resort has a swimming pool, fitness center, bar/lounge and activities for children. There are salons, nightclubs, spa services and sport courts just a few minutes away. 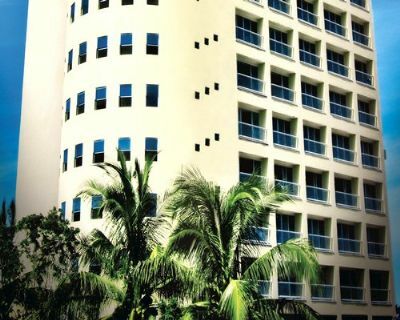 When you buy a Mazatlan timeshare through Mayan Palace, you have the opportunity to enjoy an annual vacation at this amazing luxury resort for an affordable price. When you buy a Mayan Palace Mazatlan timeshare, you can select from several options. You may want a romantic studio unit that sleeps two or a suite for your family that sleeps from five to eight people. Suites have partial kitchens and all units have air-conditioning. The resort offers volleyball courts and equipment, a playground and childcare. Nearby you will find tennis courts and several water sports, including windsurfing, deep-sea fishing and scuba diving, and on land you can hike, horseback ride, and cycle. There is a full casino and several nightclubs nearby. Mayan Palace Mazatlan provides sun beds on the magnificent beach just steps from your own vacation condo. If the beach and all of the other activities do not fill your child’s day, it is not a problem. The resort offers a Kids Club where fun and interesting activities are planned by the resort staff throughout the day. Vacations are good for your health, as they rejuvenate your outlook and give you time to relax and enjoy life. A timeshare in this perfect beach location is the best way to make sure you and your family has a spectacular annual vacation. Do not worry about towels, bed linen, or any other aspect of your stay. Just show up and everything will be perfect. 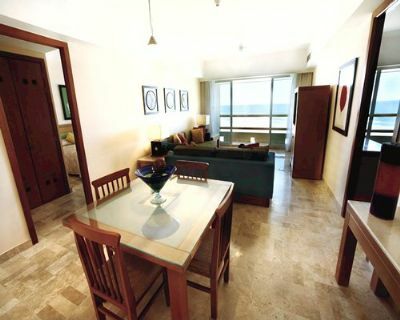 Contact Mayan Palace Mazatlan Specialist Today!